Because we share similar passions, I read with fascination this past week an interview with President Barack Obama about how his love of reading is closely tied to his love of writing. “Me, too!” I thought as I learned that our 44th President wrote short stories about older people during early adulthood. Our 39th President, Jimmy Carter, is the first President to publish a fiction novel, The Hornet’s Nest, in addition to a collection of poems, Always a Reckoning, and a children’s story, The Little Baby Snoogle-fleejer. Both writing and reading help people to understand the strongest emotions, and to develop empathy for others whose histories and life experiences are completely different from their own. According to Julianne Chiaet in Novel Finding: Reading Literary Fiction Improves Empathy, researchers at The New School in New York City discovered that reading literary fiction increases the reader’s capacity for empathy, while the reading of popular fiction and nonfiction, or reading nothing at all, does not appear to do anything for a person’s capacity to understand others. As our 45th President was inaugurated on Friday, this research made me wonder what fiction stories are on our most recent Presidents’ reading lists. We all know, of course, how isolating the White House experience can be. This creates a necessity for the current Dweller-in-Chief to escape from the proverbial bubble to connect with the people who are being served. Here are some of the books that I discovered the past dozen Presidents have added to their reading lists. Several Presidents—Jimmy Carter, George H. W. Bush, and Richard Nixon—are fans of Leo Tolstoy. One President, Lyndon B. Johnson, was labeled a non-reader by one writer, and so far, I have not been able to learn anything about his reading tastes, fiction or otherwise. Our new President, Donald Trump, says in this Washington Post article that he has no time to read, but despite this statement I discovered a post from U.S. News & World Report that cites a book from 1929 as his favorite fiction book, which I have named below. Are you a one-book-at-a-time reader, or do you read multiple items simultaneously in the same way you did during your school days? I confess that my reading habits are eclectic, so you’ll find both books and magazines lying on every flat surface in the house, but also in a bag I take to work every day. I read magazines from back to front (odd, I know), skip around in non-fiction books, and read only one fiction novel at a time. In the fiction aisles I enjoy reading historical romance, suspense thrillers and science fiction, but the non-fiction topics I like best center on writing, creativity or some kind of craft. I’m fascinated, however, by Viking history and am not at all averse to fantasy—I gobbled up Deborah Harkness’ All Souls Trilogy as the books were released, one by one. I think it’s fun, too, to compare reading lists with others, so I’m going to share my current list with you, and hope you’ll either tell me in the comments below this post what you are reading, or provide a link to a post you’ve written about the same topic. In that vein, here we go! 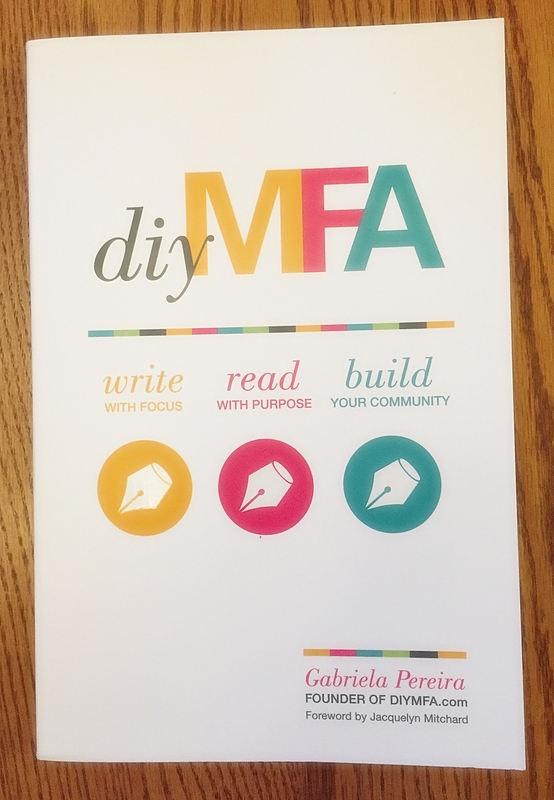 DIY MFA, by Gabriela Pereira. I have always had a deep desire to acquire an MFA in creative writing, but have had neither the funding nor the time to dedicate to it. Gabriela Pereira debunks the myths that surround the reasons for acquiring such an MFA, and builds her book around the idea that anyone with a desire to write can design his or her own customized writing program by combining the same elements present in most MFA programs: writing with focus, reading with purpose, and building your community. Although Gabriela’s book probably applies best to those who wish to write a fiction novel, her exercises apply to other types of creative writing, too. Her Web site, diymfa.com, is chock full of interesting articles and podcasts, and features a writing prompt app called Writer Igniter that automatically generates a prompt that you can use to exercise your writing muscles. Once you have purchased her book, visit diymfa.com/the book to get book bonuses and free access to the DIY MFA starter course. Although Gabriela’s book is not the first to provide a do-it-yourself writing program—there’s also The Portable MFA in Creative Writing, Fiction Writer’s Workshop, Gotham Writer’s Workshop: Writing Fiction, and Writing Alone and With Others—her book has a fresh step-by-step approach to blending reading, writing and community that not all books on the same topic share. The Butterfly Hours, by Patty Dann. On my bucket list is writing a book of memories I can pass on to our son and his cousins. 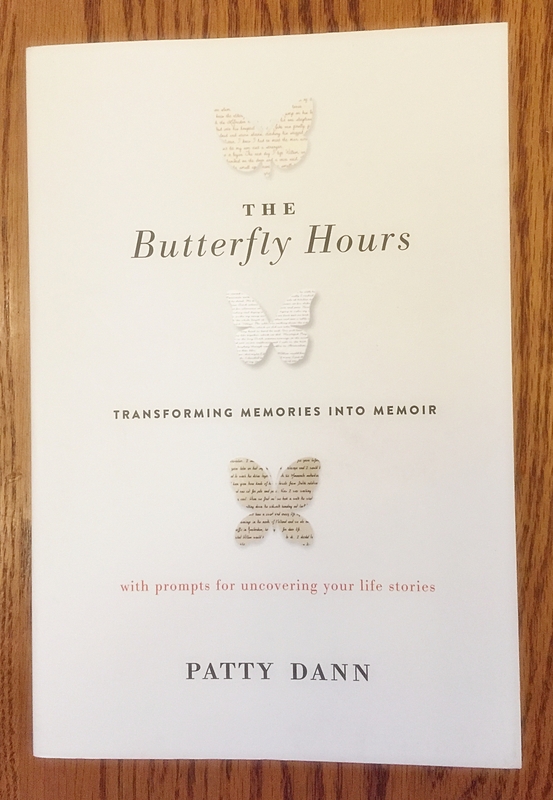 Patty Dan’s slim volume is thick on memories and lessons that focus on helping you transform your memories into memoir through the art of storytelling. Her book is essentially the same memoir-writing workshop she has offered to YMCA students for more than 25 years. The Butterfly Hours is peppered with stories written not only by Patty but also by her students, often triggered by single words designed to evoke memories. There are 10 lessons in the book, each filled with single-word writing prompts that will make your fingers itch to write. I fell in love with the book the moment I read Patty’s story about her late first husband, Willem, who had brain cancer. When her husband, who spoke Dutch and other languages, gradually forgot more and more of these words, he whispered to her one day, “Lieveling, we have to remember the butterfly hours.” That’s what our memories are like, of course—butterflies that flit from one location to another, creating an invisible path laced with moments that tell the story of their journey. You’ll come back again and again to the one-word memory triggers in The Butterfly Hours, telling different stories each time. I love this book! 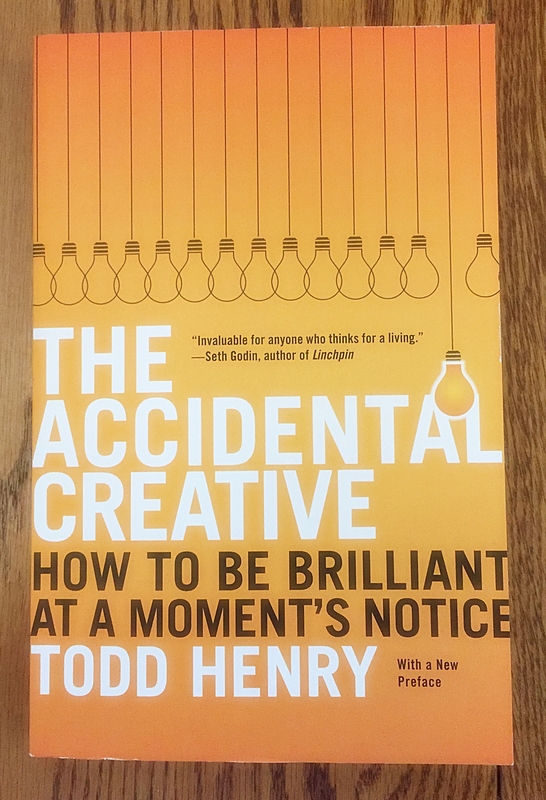 The Accidental Creative: How to Be Brilliant at a Moment’s Notice, by Todd Henry. The premise behind this book is that your living requires you to generate creative ideas continuously, and that you need to find a way to keep good ones coming. The book applies as much to a writer as it does to a campaign manager; Todd Henry defines as a “creative” someone who solves problems, develops strategies, or generates new ideas. Sounds like everyone, doesn’t it? Todd believes that anyone can be taught to be more creative by injecting purpose into the creative process. The first three chapters of the book describe the common challenges creative people face in the workplace, while the remaining six chapters provide strategies for keeping those creative ideas coming in such a way that spells the opposite of mediocrity. Todd discusses the fallacy of compartmentalization—trying to keep your work life separate from your home life, for example—as well as the importance of balancing isolation with sharing when you are a naturally introverted creative. Even if you don’t have to earn a living being creative, The Accidental Creative will provide you with some food for thought, as well as some coping strategies for performing creatively at a high level over a long period of time. Feel connected features an interview with designer Lotta Jansdotter. 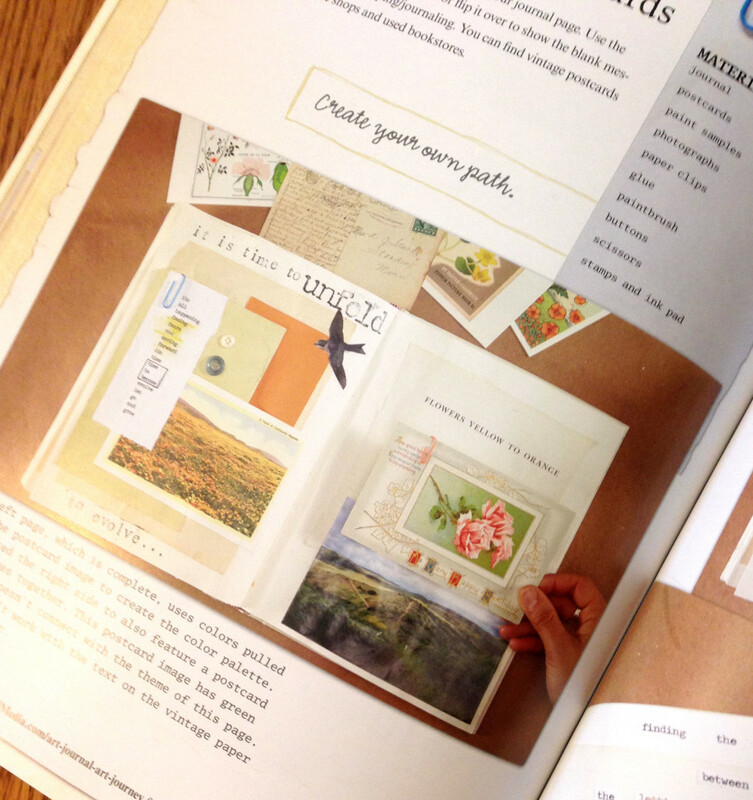 Live mindfully discusses how art journaling works and why it benefits you. Spoil yourself profiles designer Sacha Vink, who recycles, revamps and reuses old furniture and furniture parts in new ways. 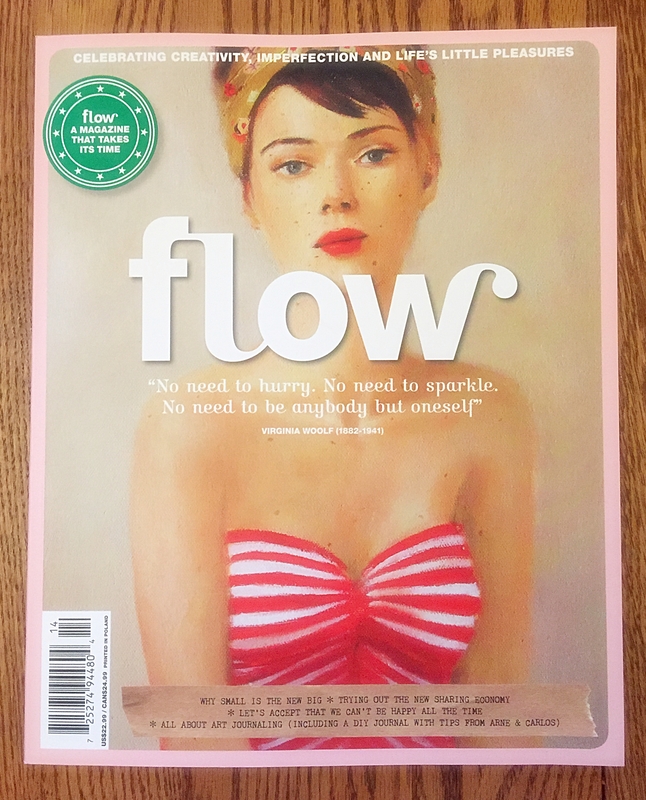 Every issue of Flow includes illustrations and quotes you’ll want to save, as well as bonus goodies you can remove from the magazine and use. 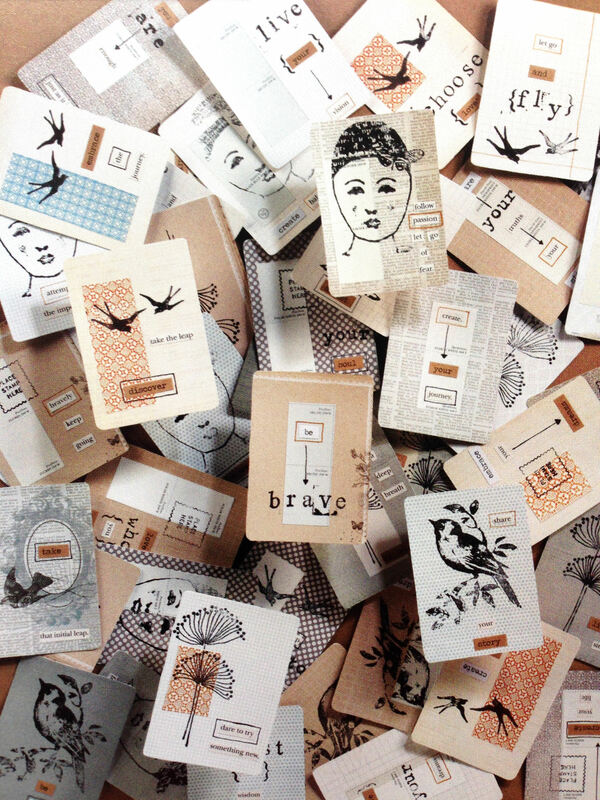 Issue 14, for example, includes a Tiny Pleasures Art Journal. Every issue is a gift, if you’ll pardon the cliché, that keeps on giving. You’ll find the magazine in your local bookstore, but you can order individual issues or purchase a subscription from the publication office in the Netherlands. Interestingly, the difference in cost between purchasing the magazine here in the U.S. and overseas is not that great. The Sun, October 2016 issue. 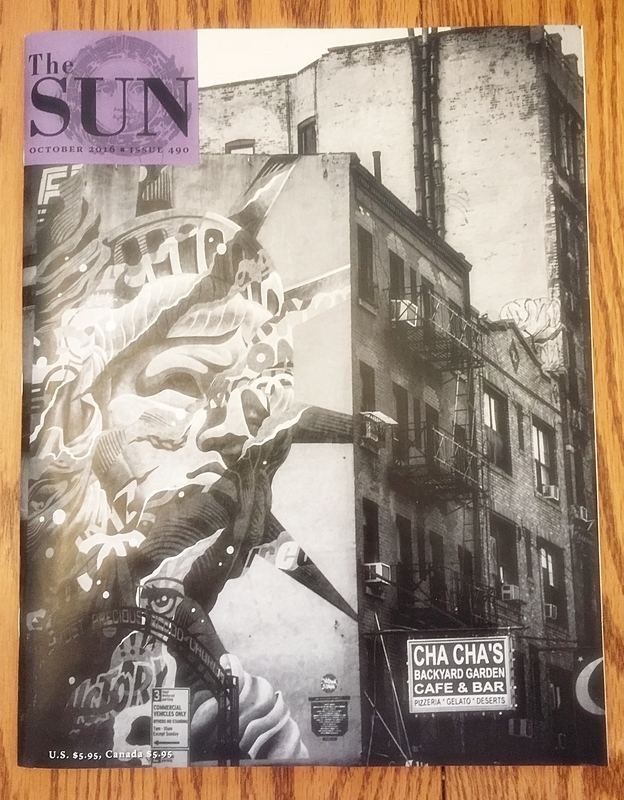 The Sun is a monthly literary magazine published by The Sun Publishing Company, a non-profit organization. The magazine describes itself as “Personal. Political. Provocative. Ad-free.” I would add that it is supported entirely by readers. Its slick pages are populated with letters from readers, black-and-white photography, interviews, essays, memoirs, true stories, fiction, poetry, editorials, and a reader column called “Readers Write” that features well-written stories about topics that are announced in advance. This issue’s topic was “Restaurants.” I began subscribing to the magazine after I received a letter about it in the mail. The envelope included a sample story, a flash fiction story called Dinosaur, by Bruce Holland Rogers, about a boy who thought he was a dinosaur—a brilliant piece of writing that is only a tad over 300 words. I was charmed, provoked, saddened and gladdened, all at the same time. Read it and see if you don’t agree, and then send in your subscription order. The Silver Witch, by Paula Brackston. 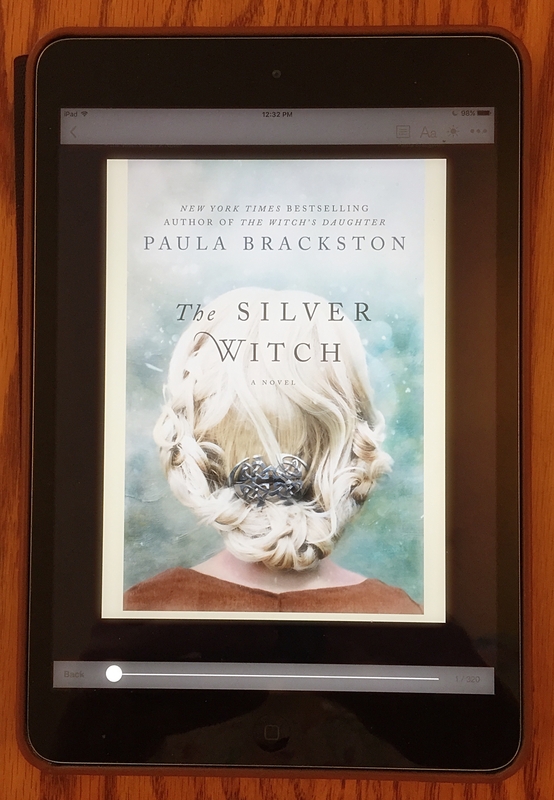 Through the Kindle app on my iPad, I am reading my way through Paula Brackston’s novels about witches, stories whose deeper meaning make them rise above the average teen witch or vampire novel. Except for two novels that are connected, The Witch’s Daughter and The Return of the Witch, each of Paula’s books stands alone. Without giving away so much that I spoil the reading of the story for you, I will tell you that The Silver Witch is less about a woman who is a witch and more about a woman who loses herself after her husband dies, but gradually finds herself by connecting with others in her community and with her personal history, which just happens to involve a witch from centuries earlier. I am also fascinated by Paula’s writing from a writer’s point of view in that all of her books are told in the first person, in the present tense. This is difficult to do well, but the author does so with remarkable skill, bringing an immediacy to the action that is, of course, intended. What are you reading now? Please share your reading list in the comments below. 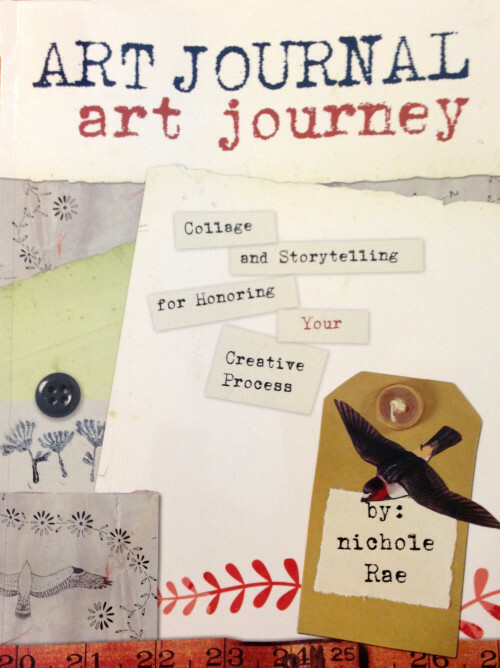 Yesterday in the mail I was delighted to receive Minnesota mixed media artist Nichole Rae’s new book, Art Journal Art Journey: Collage and Storytelling for Honoring Your Creative Process, from Amazon. I heard about the book through one of the many e-mails I receive about mixed media art. My interest was sparked because I think Nichole Rae’s process mirrors mine. Specifically, I tend to write first, and fill in later with images for my art journal projects. I don’t know if that’s common or not, but I was interested in learning more about Nichole Rae’s process. Nichole Rae, who uses simply her first and middle names, begins her journaling process with a list. Sometimes that list is handwritten, but most often she composes on the computer and files her lists by theme on her desktop. When neither paper nor computer are available, she’ll type her list on one of her smart phone apps—the same thing I’ve resorted to doing when nothing else is available, especially for writing poetry. When she is ready to use her lists, she prints them out on separate sheets of paper, in most cases left-aligning the text and adding images and found art afterward. Other times, she will cut out words from her vintage collection of books, and paste them into place. Then she adds images to the text through a collage process. In Create Each Day: A Found Words Art Journal, Nichole Rae describes how you can use an old book to create your own found words art journal. One of the reasons that Nichole Rae prefers typography for her journaling is that she loves the process of selecting fonts, and the freedom it gives her to edit. Among her favorite sources for fonts are dafont.com and 1001freefonts.com. You can see Nichole Rae at work in the 37-minute video below. Being aware of your surroundings by opening up your senses through sight, hearing, touch and scent will lead to yet another type of list-journaling. Or, you can explore word associations, writing down three words that occur to you on one line, and then adding other words, line by line, that come to mind. Nichole Rae’s own routine of journaling is to rise a little earlier than usual each morning to devote a few minutes to list-journaling. Throughout the day, whenever something occurs to her, she adds a list to her desktop. She allows three to six months to finish a book devoted to one theme, and finds that when you give yourself ample time to journal, this honors the process and enables you to learn more about yourself. The type of book you use to journal is something you’ll discover by experimentation, Nichole Rae points out. She will sometimes purchase pre-printed books and alter them. 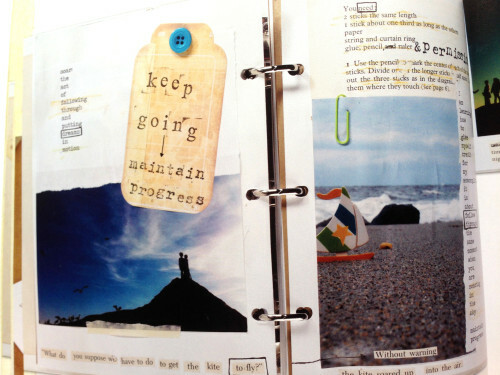 She removes sections of pages to allow for expansion, and glues pages together to form a thicker foundation for collage. In looking through the book, I noticed that many of her collaged papers are three-hole punched for inclusion in a ring binder. I have to admit the idea of working on one page at a time, and binding pages later, appeals to me a lot. 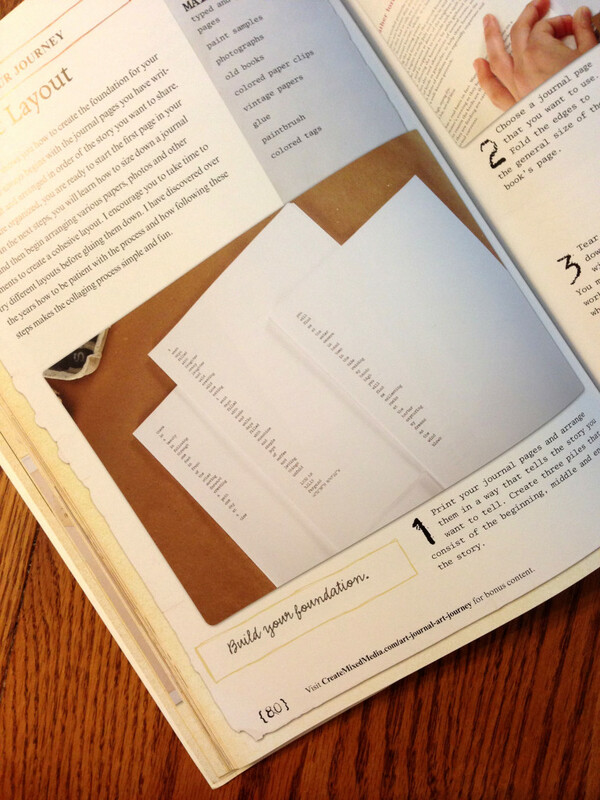 At the beginning of the process, you may not actually know where you’re going to end up, so doing one page at a time gives you some flexibility when it comes to determining the size of book you’ll need, and what will appear on the cover and spine. 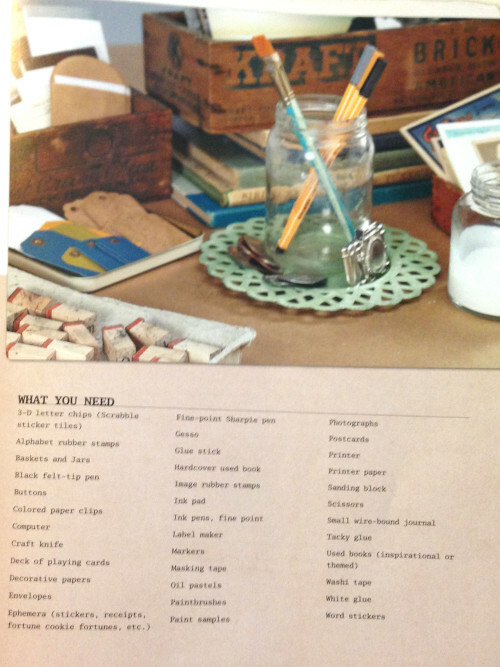 At the beginning of Nichole Rae’s Art Journal Art Journey, she includes a materials list that provides a great starting point for collage. She saves vintage magazines, photos, stamps, post cards, buttons, paper clips, feathers, old maps, sheet music and much more for her journal pages. One of the mini-journaling projects I especially like from Nichole Rae’s book is altering ordinary playing cards to create an inspirational mini art journal. 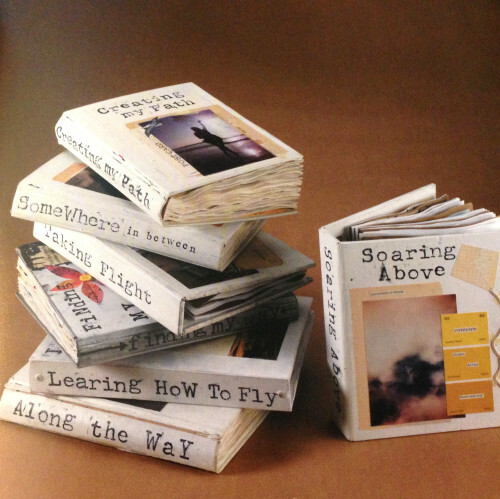 A tutorial from the book, Make An Inspirational Card Deck Mini Art Journal, is available online. How does your art journaling begin? Words, images, or do you work with both at the same time?